Kerry is chosen by the coolest clique in school and so she thinks life has finally begun. 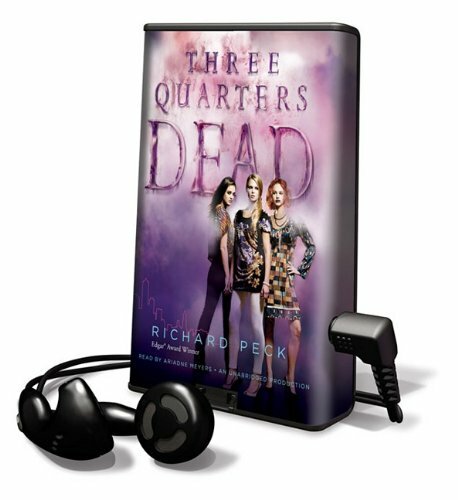 But then it seems all over when her three friends are killed in a shocking car accident. Or are they? Only weeks after the accident, Kerry receives a text from one of the girls: We're all 3 here at my aunt's in the city. Take the 3:50 train. B there. Richard Peck, author of more than thirty novels, is one of the most celebrated children's book writers in the country. He has won the Newbery Medal, the Edgar Award, the Margaret A. Edwards Award, a National Humanities Medal, and twice been a National Book Award finalist, among many other honors. He lives in New York City.